I can't remember quite how or when I decided to design a combi van block, all I know is that it was way back in the early days of my designing. For some reason the software that I used to use to design patterns decided to play nasty with this pattern. I just couldn't get it to work, so I gave up in disgust. A while later, I made a second attempt and yet again my old software gave me problems. The design was finished but I couldn't get it numbered and out of the computer, it was very frustrating! Once I got a copy of EQ7 (my new pattern designing software), I decided to import the pattern and have another attempt. It wasn't plain sailing and I almost gave up, but I FINALLY managed to get the pattern to work (yay!). My pattern testers did a great job for me, I have included pictures of their blocks in this post. I must be honest, I have been waiting to hear that people have had problems printing my patterns due to the differences in A4 paper and the standard US paper size. Without knowing the exact printable limits, it was difficult to do anything about the potential problem. The version of this pattern that I sent to the pattern testers is the first time that I have been aware of printing problems on US paper. I have now rearranged the pattern pieces so it should no longer be a problem. The reason that I mention this is that if you are based in the States or Canada and find that pattern pieces of one of my patterns do not join up as they run off the bottom of the page, please let me know and I will do my best to fix the problem. Hopefully this is something that I can now avoid on future patterns, but I'm pretty sure that some of my existing patterns will exhibit this problem. I have a long list of jobs that I want to get done when I stop working at the shop and one of them is to go back over my old patterns and clean them up. It will be a long job and I'm probably kidding myself that it will ever get done, but any patterns with printing issues will definitely go to the top of the pile! 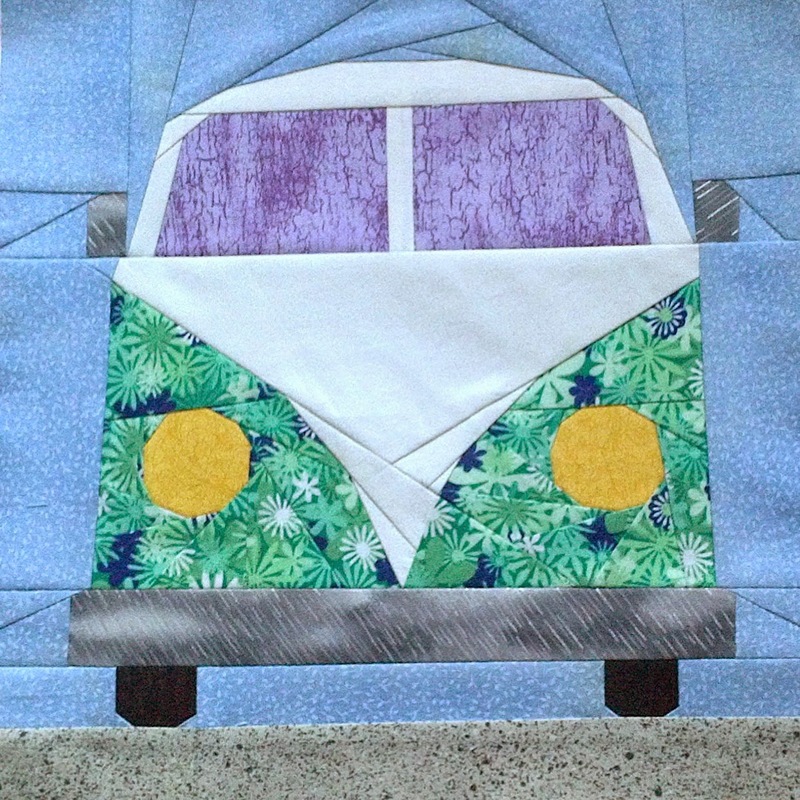 The VW Combi Van Pattern is available from my Craftsy Store. Wow, great work! fun that you have pattern testers. Liking the bright orange one. I love the van. Now to make one that looks like the one we had when we were first married about 44 years ago...that will make a great anniversary gift. Then another one for our oldest son who had one that his wife's grandpa gave them several years ago... what fun this will be. Thank you so much. oh my goodness!! i have always said I dont have the patience for paper piecing but this might be a game-changer!!! 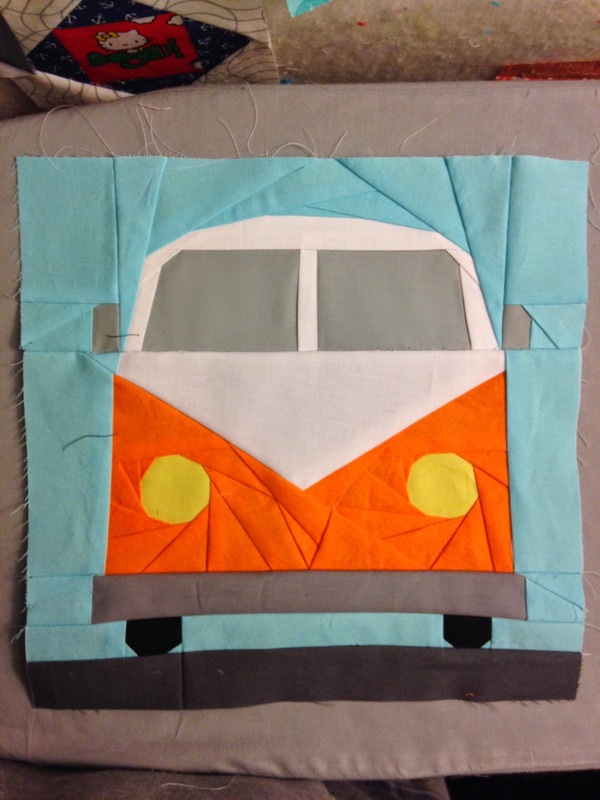 My daughter and I LOVE Kombis (I even made her a Kombi cake for her birthday one year). Awesome pattern. You are an inspiration Juliet - its awesome and your testers have all done great jobs! Go you for persevering and nailing it! !